Flat design icons for restaurant. Set of flat design icons for restaurant, food and drink. Set of flat design icons for restaurant, food and drink. Flat design icons for food. Vector eps10 with transparency. 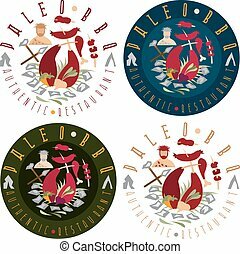 Set of flat black round vector icons with red elements for japanese restaurant on white background. Flat design icons for food and drinks. Vector eps10 with transparency. Set of flat design concept icons for restaurant. 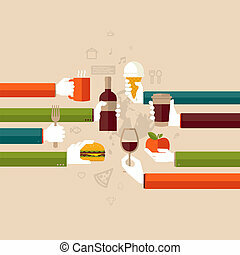 Icons for restaurant, international food, seafood, Mediterranean food. Set of flat design concept icons for education. Icons for online learning, smart ideas, research and education. Set of flat design concept icons for business. Icons for company resources, know how, hardworking, and creativity. Set of flat design concept icons for business. Icons for winning team, partners, versatility and company objectives. Set of flat design concept icons for beauty and shopping. Icons for beauty, shopping, fashion and love concept. Set of flat design concept icons for business. Icons for website development and mobile phone services and apps. Set of flat design concept icons for restaurant, food and drink. Icons for dessert, drinks, fast food, menu.